This article is the third part of a series on AI on blockchain Ecosystems. In these overviews, I will provide outlines of why we need it, how is it achieved, and what does it offer. - Part 1: AI on Blockchain — What’s the catch? Smart contracts, known to be used with the blockchain technology, is a computer program that directly controls the transfer of digital currencies or assets between parties under certain conditions. However, there is one particular characteristic that is lacking which ceases a wider application for smart contracts. In spite of many games and pyramid scheme DApps, this feature is a prominent reason why smart contracts have not been very successful thus far — AI Smart Contracts. 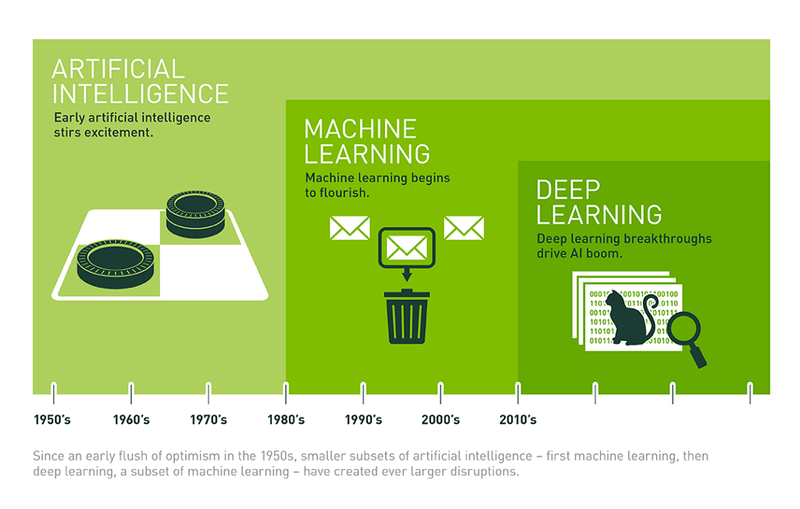 Artificial Intelligence (AI) is not a new term, it has been around since the 1950s. Artificial Intelligence can be defined as human intelligence exhibited by Machines. Earlier works of AI used methods like A*, fuzzy logic, expert systems, and good old-fashioned AI (GOFAI), the same if-then rules that are used in coding most applications including smart contracts. Deep Blue, the AI created by IBM that defeated the world chess champion Garry Kasparov in 1997, used a method called search algorithms to evaluate millions of moves at every turn. When we speak of AI nowadays, we are actually talking about Machine Learning, an approach to achieve Artificial Intelligence. Machine Learning works by building models that capture weights and relationships between features from historical data and then use these models for predicting future outcomes.